If your teeth are looking dull or discoloured, you may wish to consider a teeth whitening treatment. Casa Dental offer a range of teeth whitening treatments to suit your individual circumstances. 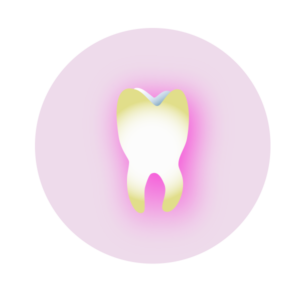 It’s important to make a dental appointment to talk through your options as your discoloured teeth may be caused by underlying issues that will continue to cause problems if left untreated. A proper at-home cleaning routine is your best defense against permanent stains and that dull, yellow color. This includes brushing thoroughly for two minutes twice a day and flossing between each tooth once a day. General check-ups every six months are also necessary to ensure you are getting a professional clean and scale. At-home brushing is great, but it can’t do everything! We also recommend reducing the number of staining foods and drinks you consume. While this is hard, it is the only way to stop re-staining occurring. At the very least you should rinse your mouth with water after consuming these products or even brush your teeth if you are at home. Drinking through straws is also a helpful method to reduce interaction with teeth. The team at Casa Dental welcome you to call us with any questions you may have in regards to your options or tooth whitening procedure. Contact us to schedule your complimentary cosmetic consultation today.